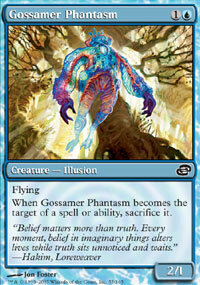 Planar Chaos… What’s so chaotic about it anyway? 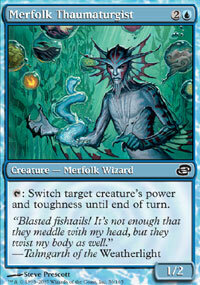 What if I told you that in some alternate reality, instead of blue counter mages, we had white counter mages? Or that the discard color of choice was blue, not black? 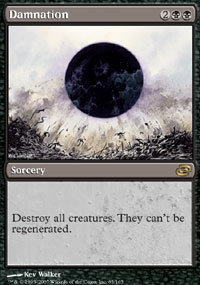 What if the most feared mass removal spell wasn’t in white but in black instead? 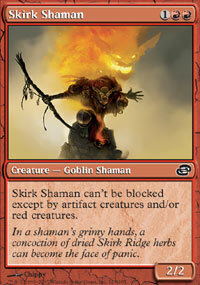 How about red mages were feared for their ability to bounce our Dark Depths? 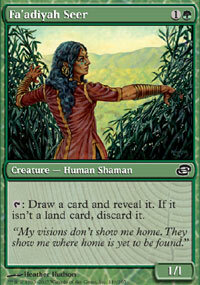 These are the sort of questions that WoTC’s R&D (Research and Development) thought when making this set. 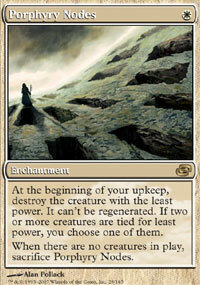 In order to add to the effect, R&D posed the question of what if Memory Lapse was in white? 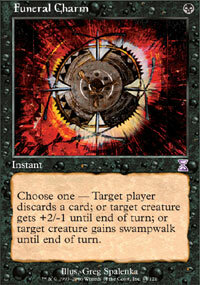 And, from that question the idea of a new type of “timeshifted” cards was born. 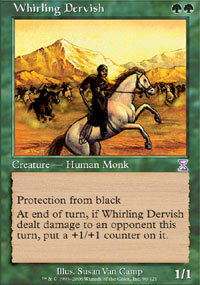 Forty-five cards were brought from the past and shifted into a different color! Many different approaches can be taken on the various color schemes shennanigans found in Planar Chaos, however I will approach it in the following manner. 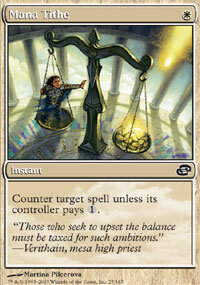 Price comparisons will be done utilizing MTGOtraders for all cards available on MODO (Magic Online) and TrollandToad for cards only found in paper (Prices reflect Mint-Near Mint prices). 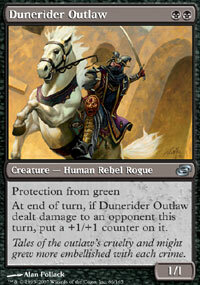 To identify cards only avaiable in paper, the name of the card will be highlighted in black with gold lettering. 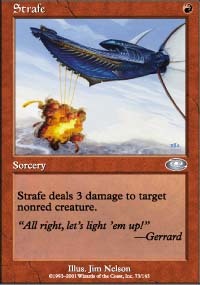 Comments will include a variety of different things from flavor, random trivia, to its viability within competitive formats such as Standard (formerly Type 2) and Extended (formerly 1.x) as these formats have a tendency to dictate prices (A dramatic example is the price change of Demonfire from a 2-3 tixs card to the 8-9 tixs card it has become due to the standard enviroment). Comments: The $33 dollar gap won't last for long with Porphyry Nodes concerned. 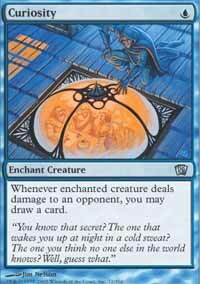 Drop of Honey back in the day was considered to be overpowered, and as such watch out for Porphyry Nodes in upcoming Standard and Extended Decks. Comments: With vanishing 4 (which by the way is the equivalent of Fading 3, check the reminder text), Calciderm is one crazy 5/5. 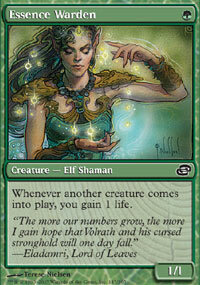 Now all we need is for Magic to reprint Fires of Yavimaya on MODO... wait it already was! Comments: Well, nice to have ol' Muscle Sliver back. 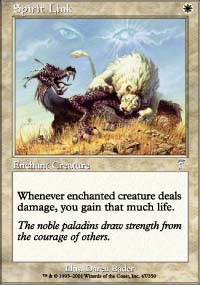 All of a sudden slivers look viable in PDC formats... (not to mention Sinew Sliver is a common, so it's pretty cheap to pick a playset up). 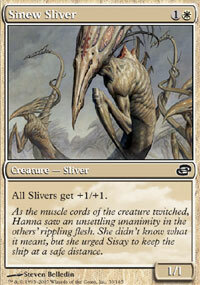 Comments: Supposely Mana Tithe originally began its life as the promised white Memory Lapse. 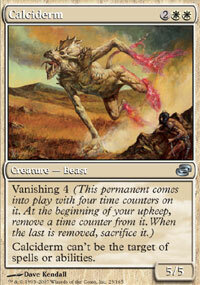 Unforunately, R&D decided that indeed, white Memory Lapse was too powerful (no kidding), so we settle with Mana Tithe. 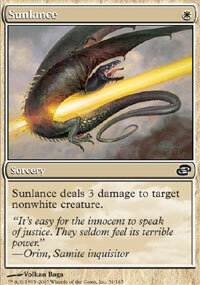 But hey, white still gets a counter. Comments: White gets regeneration, and the poor guys who became skeletons in our time-space, are lucky enough to become Revered Dead. 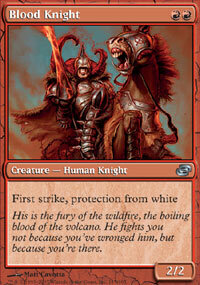 Comments: White gets direct damage creature removal! What more is there to say! Comments: Hint Hint! 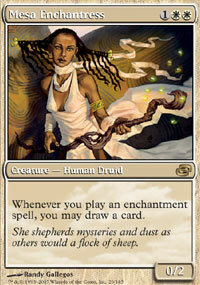 Try comparing the art from Mesa Enchantress with that of Malach of the Dawn... See some correlation? Comments: Trivia! 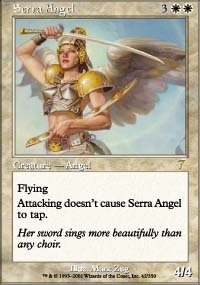 During the time of 5th and 6th edition, Serra Angel was considered "Overpowered" and thus removed from the core sets (the sets with white borders). 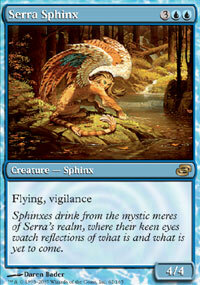 With the advent of the internet, and the culmination of many deckbuilders, Serra Angel no longer holds such a reputation. Comments: Combo! Ovinize + Squire = Dead Akroma, Angel of Wrath! 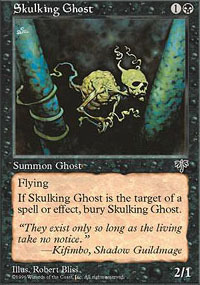 Comments: Believe it or not, Skulking Ghost was once part of a suicide black deck that dominated. 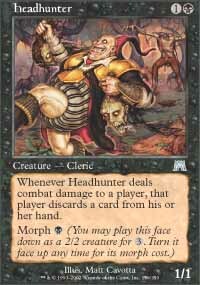 At the cost of a good portion of your life, this efficent 2/1 flyer in combination with other powerful black spells (such as Dark Ritual) ruled the formats of Magic. 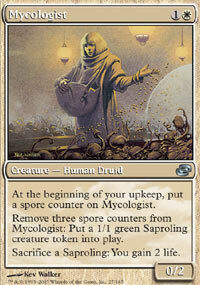 Comments: Trivia!Thaumaturgist is a noun that means "Worker of miracles; a magician". I suppose switching the power and toughness of a Wall of Roots would be a miracle indeed! 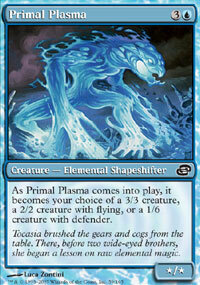 Comments: Primal Plasma holds the distinction of being the only card in Planar Chaos that was timeshifted from an artifact! 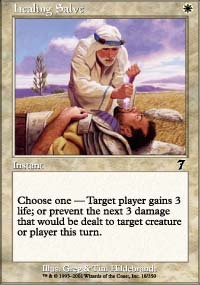 There was much debate within R&D about the creation of this card, but in the end, it was given an A-ok. Comments: Trivia! Serendib is actually an old arabic name for Sri Lanka. But in this case, it just makes a really cool alliteration! 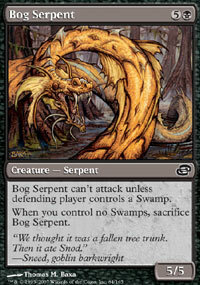 Comments: Aaron Forsythe late last year announced that they would be cleaning out the creature type pool in the sets to come. 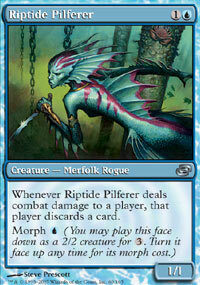 With that in mind, Riptide Pilferer is definitely a possibility in future Merfolk decks, as it has an awesome ability combined with Morph as well. 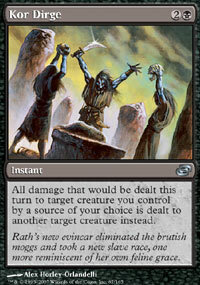 Comments: Black Wrath of God. 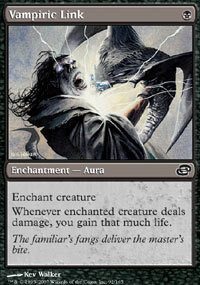 The bane of all aggro decks return in spot removal black. What more is there to say? Comments: Flavor! 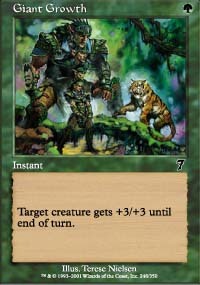 Master Decoy is quite adept at diverting the attention away from others, while Rathi Trapper keeps its opponents occupied to achieve the same effect. Comments: Trivia! 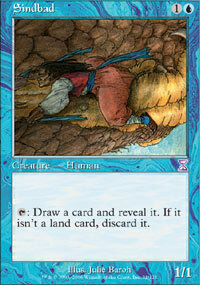 the ability "CARDNAME cannot attack unless opponents has islands in play. 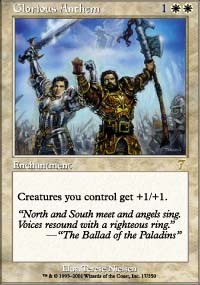 When you control no islands, sacrifice CARDNAME" was once called Islandhome, but after 6th edition, the ability was removed. 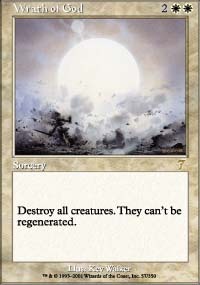 Comments: Recycle was a major player in combo decks of old, but with the existence of Krosan Grip in the enviroment, good luck to anyone who tries to make a deck around this card. 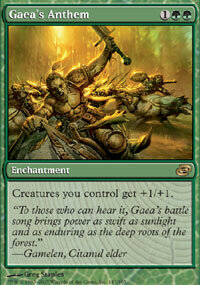 Comments: Brute Force will be an aggro deck staple for years to come until it rotates out of Extended. 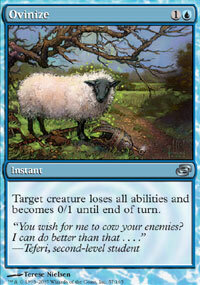 For that reason alone, you should all get a playset of this great card. 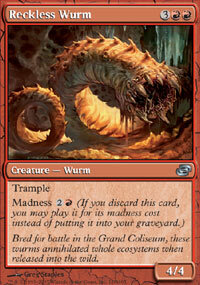 Comments: No deck needs 8 Arrogant Wurms, but if red gets some great discard engines soon, then expect to see Reckless Wurm seeing play at tournaments. 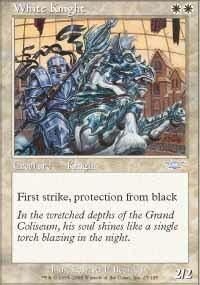 Comments: In the past White Knight has proven to be a great card, seen in Beach house aggro (Black/White) decks combined with some jitte craziness. 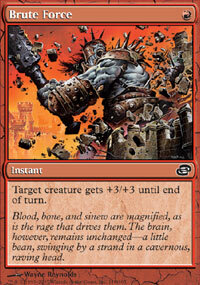 Whether or not Blood Knight will see similar play has yet to be seen. Comments: Flavor! As phoenixes die, they are reborn into a new creation, and thus it's the sign of rebirth. 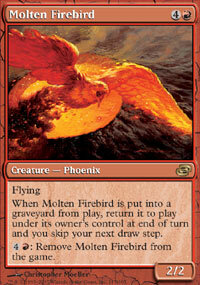 This phoenix however, is so persistent in its life, you'll have to muster up some mana just to make it stop. Comments: Trivia! 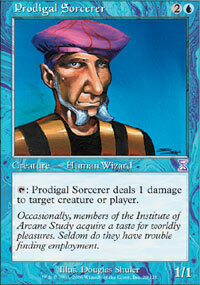 Prodigal Sorcerer was given the name "Tim" as a reference to the mage who loved to blow things up in Monty Python and the Holy Grail. 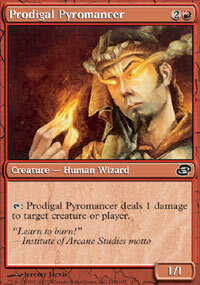 As a throwback to this old reference, Prodigal Pyromancer is referred to as Tom, the red Tim! 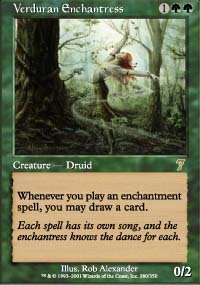 Comments: Elvish Spirit Guide is a staple in a few Vintage (Type 1) and Legacy (Type 1.5) decks, expect Simian Spirit Guide to be abused simiarily. 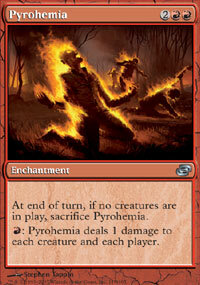 Comments: If I had a choice between Damnation and Pyrohemia, I may actually draft Pyrohemia if I wanted to win. 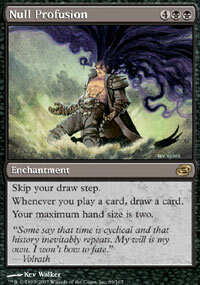 That's just how powerful it is in TTP (Timespiral x2 + Planar Chaos) drafts. If you disagree, voice your opinion! 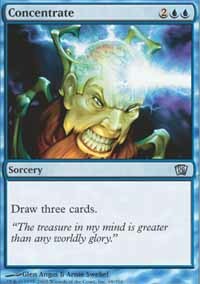 Comments: I have found Skirk Shaman to be quite playable in my U/R draft decks when I draft TTP (Timespiral x2 + Planar Chaos). 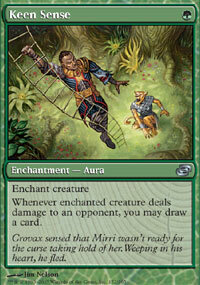 Usually fear and evasion effects are worth the trouble to cast it. Comments: Introducing recurrable land destruction in a color with Magnivore Yay! Comments: Quotes! 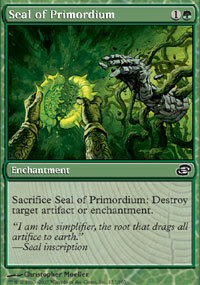 Seal of Cleansing's flavor text reads "I am the purifier, the light that clears all shadows" and Seal of Primordium's flavor text reads "I am the simplifier, the root that drags all artifice to earth". 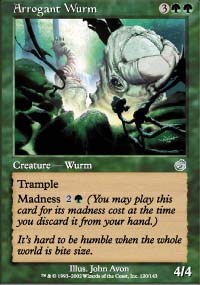 These two quotes show the different ways Green and White destroy artifacts, one by rekindling back to nature, and one purifying the shadows (keep in mind Urza and Mishra did some really evil things with artifacts and enchantments). Comments: Trivia! 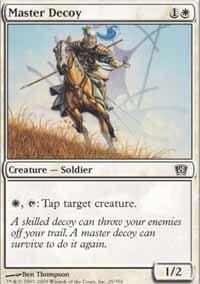 There are three cards that have have off-color abilities that allow for regeneration and a power/toughness boost based on lands controlled. 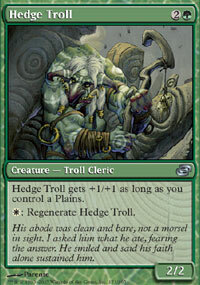 These three cards are Sedge Troll, Hedge Troll, and Sedge Sliver. Go figure. 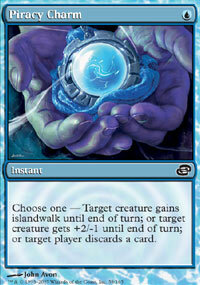 Comments: The supposed savior of MGA (mono-green aggro) is found in this green ball lightning. So I offer you this Combo! 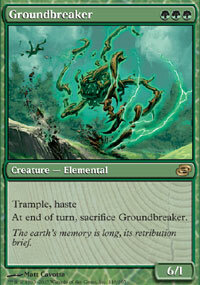 Groundbreaker + Greater Good = 6 damage, 6 cards. 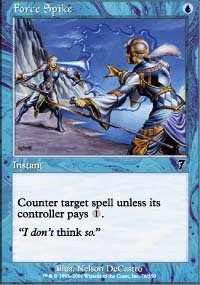 All at the cost of 3 mana. 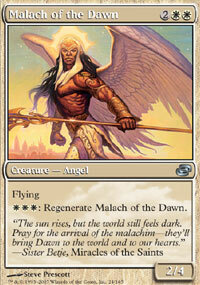 Comments: If angels singing can empower one's troop, why not nature's song? 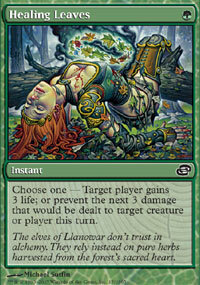 Comments: This is definitely a card that with the modern color wheel, fits into green. Comments: Flavor! 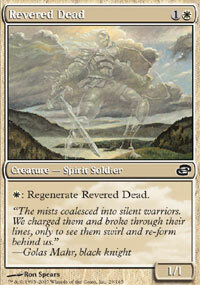 Soul Wardens are able to gather life energy simply from gathering souls. 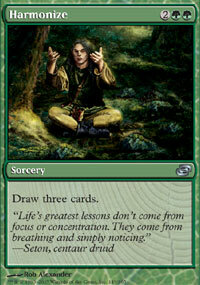 Essence Wardens take a different approach as they tune themselves with nature to gain similar energy. Comments: The flavor text shows some interesting insight. Blue is able to draw cards by concentrating on the knowledge that have within themselves, while Green draws cards by relaxing and meditating, and noticing the nuances of life around oneself. Comments: Combo! 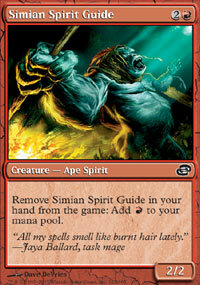 Niv-Mizzet, the Firemind + Keen Sense = Win! 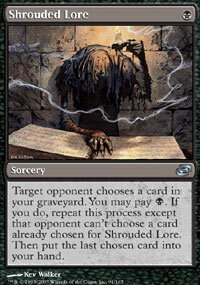 and Card draw! Comments: Hint hint! 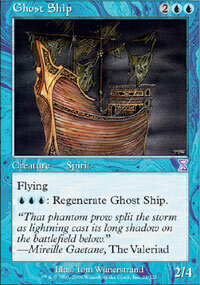 Deserves a place in Dredge decks! Also as a bonus here's some trivia. 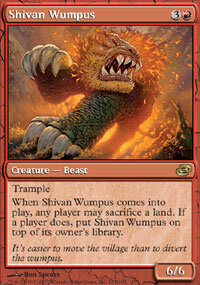 Sindbad's creature type used to read "Summon Sindbad" until it was timeshifted last year! All Prices are subject to change as supply changes. These prices are up to date as of March 8th, 2007. Woah that's really cool actually. 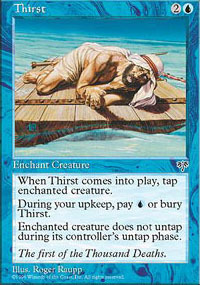 I don't get how destiny causes things to come into play tapped though. Anyway, thanks for the feedback, it's much appreciated! Excellent job Runeliger! 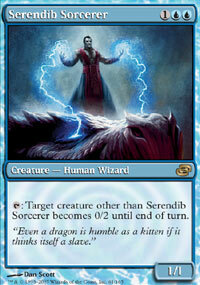 Even the guys at Wizards couldn't have done it better. Really helping. And a small addition to all the information you gave; Kismet means Destiny in my native tongue(which is Turkish by the way). So it isn't just a name that sounds cool, it also has a meaning. Good job! 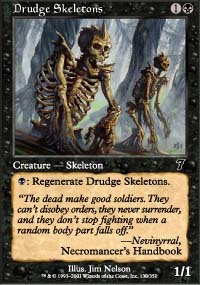 I was hoping someone would make a database like this as I myself was wondering what some of these cards had been shifted from. The Index is a very nice touch. all in all a good article and a good resource. Great job.